Irregular panel is a misprint. Panel is printed with 13 of the normal 16 ink colors. Our picture shows misprinted panel. 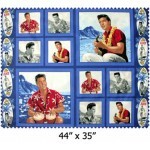 Elvis Presley Hawaii Cotton Panel is great for quilting, sewing, craft, and home decor projects. 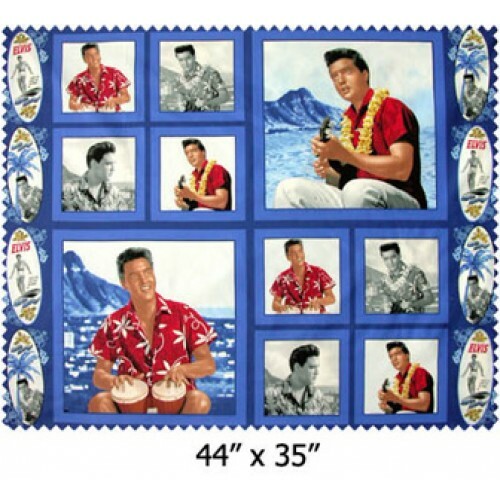 This is an Elvis Presley Fabric.